Bridal tights embody every woman’s most beautiful dreams. A special part of the dream dress should be an elegant wedding item with beads and lace, or a modest plain outlook. You can find your wedding tights at excellent price-value ratio here which radiantly and gracefully highlight the beauty of your legs and help you look like a queen. Take your time and choose the most beautiful wedding tights by us! If you are looking for amazing wedding tights, this place is just for you! 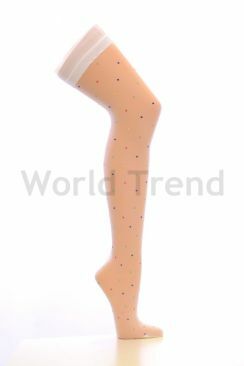 Our specialty is white patterned tights which can be a wonderful choice as bridal tights. Plain or lace patterned white tights, or rather flirty flashing white patterned thigh highs, you can find the ones most matching your dress. Take your time of choosing since this is the widest range of the wedding tights in the country. If you need something to a plain ordinary pastel costume, there are white tights which are girlish, fresh and beautiful either with a school uniform or a moderate dress. Elegant bridal Tights stockings and hold ups embody every woman’s most beautiful dreams. A special part of the dream dress should be elegant wedding hold ups with lace or a modest plain outlook. You can find your wedding thigh highs at excellent price-value ratio here which radiantly and gracefully highlight the beauty of your legs and help you look like a queen. Take your time and choose the most beautiful wedding bridal hold ups by us!